I am not opposed to getting married again. After all, humans are destined to repeat our mistakes until we get it right. I told my kids if I get married again – it will be to one of two people: Mr Cocoa or Lemony Snicket. For those who don’t know, Mr Cocoa is the funniest, cleverest, most eccentric elementary school teacher I’ve ever known. 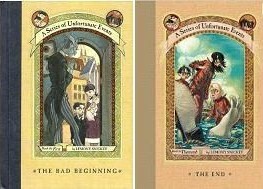 Lemony Snicket, author of A Series of Unfortunate Events, is the funniest, cleverest, most eccentric author I’ve ever not known. Personally, that is. What’s that you say, I can’t marry a fictional character?